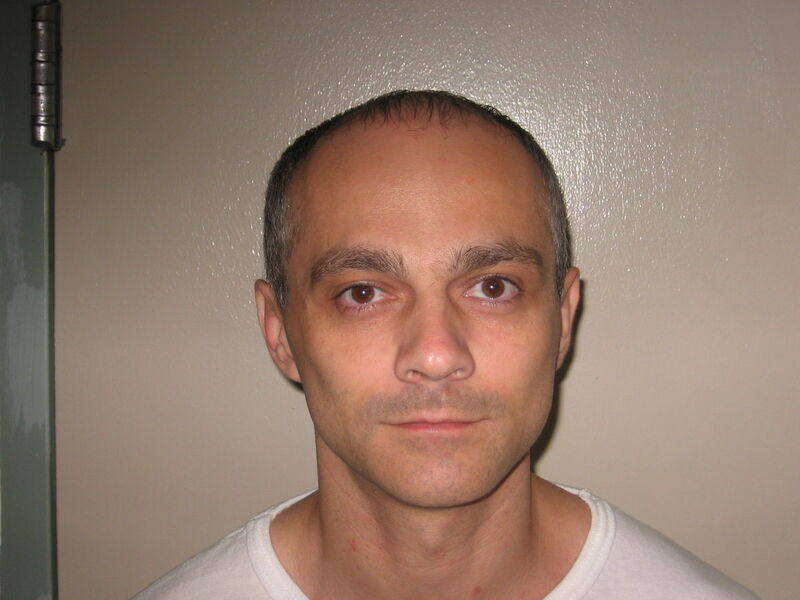 On April 20, Virginia Governor Terry McAuliffe commuted the death sentence of Ivan Teleguz (pictured), whom the Commonwealth had scheduled to be executed on April 25. Teleguz will now serve a sentence of life without parole. It was the first death-penalty clemency ever issued by Gov. McAuliffe. The official statement released to the media in conjunction with the commutation outlined several of the factors that influenced the Governor's decision, including the prosecution's use of false evidence that tainted the jury's choice to sentence Teleguz to death. "[D]uring the trial, evidence was admitted implicating Mr. Teleguz in another murder in a small Pennsylvania town," McAuliffe said. "In arguing for the death penalty, the prosecutor made explicit reference to this evidence in arguing that Mr. Teleguz was so dangerous that he needed to be put to death. We now know that no such murder occurred, much less with any involvement by Mr. Teleguz. It was false information, plain and simple, and while I am sure that the evidence was admitted in a good-faith belief in its truthfulness at the time, we now know that to be incorrect." McAuliffe also cited the disproportionality of sentencing Teleguz to death when Michael Hetrick, the admitted killer, received a sentence of life without parole in exchange for his testimony against Teleguz. "To allow a sentence to stand based on false information and speculation is a violation of the very principles of justice our system holds dear," McAuliffe said. Teleguz—a foreign national from the Ukraine—maintains that he is innocent of the crime, and his clemency petition received support from numerous political, religious, and business leaders. On January 17, 2017, President Barack Obama (pictured) commuted the death sentences of Abelardo Arboleda Ortiz, a federal death row prisoner, and Dwight Loving, a military death row prisoner. The two men were among 209 commutations and 64 pardons announced by the White House on the 17th. Ortiz's lawyers sought clemency from the President on the grounds that Ortiz was intellectually disabled, his right to consular notification under the Vienna Convention had been violated, he did not himself commit the murder and was not in the room when it occurred, and he had been denied effective assistance of counsel at trial. Loving's attorneys argued for clemency on the basis of ineffective assistance of counsel, racial and gender bias in the selection of members of his court-martial, and Supreme Court rulings that called into question the constitutionality of the process by which the military imposes the death penalty. In Loving's clemency petition, his lawyers state, "Issues of command influence, racial discrimination, and improper panel voting procedures – which were ignored by the courts based on technical legal evidentiary rules – will forever overshadow Loving’s death sentence. Executing him [will] not promote justice or ensure good order and discipline any more than a sentence of life imprisonment." Ortiz's lawyers said they were "incredibly grateful" to President Obama for the commutation. In a statement, Amy Gershenfeld Donnella said, "Mr. Arboleda Ortiz’s case highlights several of the glaring problems that plague the federal system no less than state systems: dreadful lawyering by defense counsel; disproportionate sentencing even among co-defendants; significant racial, economic and geographic disparities in the choice of those who will be tried capitally; and procedural constraints that make it virtually impossible to correct a conviction or sentence imposed, even in violation of the Constitution, when new evidence comes to light." His case, she said, "epitomizes the broken federal death penalty system." Although federal law and the U.S. Constitution both prohibit using the death penalty against persons who are intellectually disabled, Ortiz's trial lawyer never investigated his intellectual disability, Donnella said. As a result, the jurors made their decision on life or death "in a complete vaccuum" and "an intellectually disabled person of color with an IQ of 54 who was never able to learn to read, write, or do simple arithmetic, and could not even tie his shoes until he was ten years old" was sentenced to die. Both Ortiz and Loving will now serve sentences of life in prison without the possibility of parole. Ricky Gray (pictured), who is scheduled to be executed on January 18, is seeking clemency from Virginia Governor Terry McAuliffe, and his clemency petition has been joined by a diverse group of mental health professionals and the Virginia Catholic Conference. A letter signed by more than 50 mental health professionals, including two former commissioners of the Virginia Department of Behavioral Health and Developmental Services, urges McAuliffe to commute Gray's sentence because of Gray's history of "horrific" childhood abuse and his addiction at the time of the crime. Gray's jury never heard evidence that he was raped and sodomized almost daily from the ages of four to eleven, and that he turned to drugs as early as age 12 to numb the resulting trauma. At the time of his crime, he was under the influence of PCP. “In Mr. Gray’s case, his abuse and trauma were left unaddressed and predictably led to profound despair and other serious trauma symptoms, drug addiction, and the drug use that resulted in the tragic crimes he committed with Ray Dandridge,” the letter states. Gray's lawyers seek to have Gray's sentence commuted to life—the same sentence that Dandridge received. Gray's clemency petition includes reports from mental health experts who say that the extreme childhood trauma Gray endured altered his brain development, making him particularly susceptible to the effects of drugs. Gray has apologized for his involvement in the crimes, saying, "Remorse is not a deep enough word for how I feel. I know my words can’t bring anything back, but I continuously feel horrible for the circumstances that I put them through. ...There’s nothing I can do to make up for that. It’s never left my mind, because I understand exactly what I took from the world by looking at my two sisters. I’m reminded each time I talk and see them that this is what I took from the world." Governors in other states have granted clemency in some cases with similar circumstances. In September 2011, Ohio Governor John Kasich commuted the death sentence imposed on Joseph Murphy, citing Murphy's "brutally abusive upbringing." In January 2012, Delaware Governor Jack Markell commuted Robert Gattis' death sentence based on evidence of severe physical, emotional, and sexual abuse by family members. Both are now serving life sentences. Gray is also seeking a stay of execution from the U.S. Court of Appeals for the Fourth Circuit as he challenges the constitutionality of Virginia's proposed lethal injection protocol. UPDATE: The U.S. Court of Appeals for the Fourth Circuit denied Gray's request for a stay on January 13.